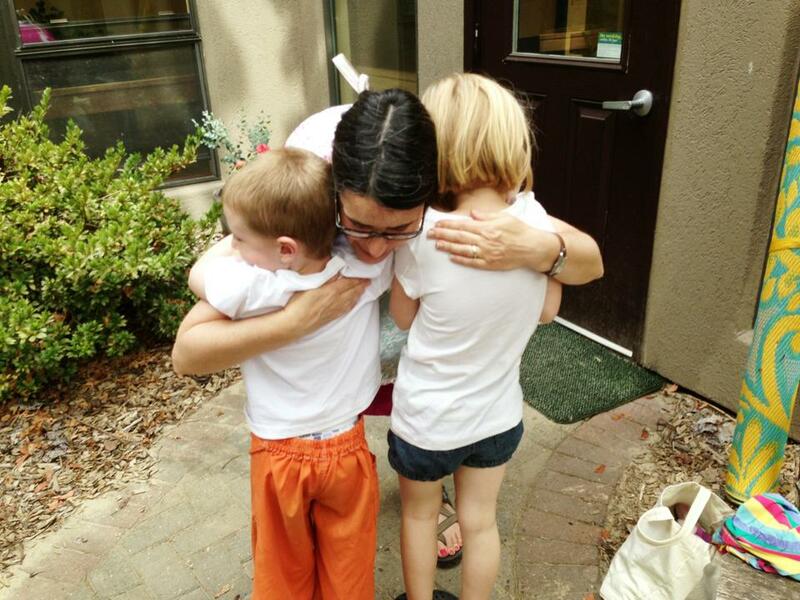 Marguerite Aichele-Smith is the owner and adminstrator at Magnolia Blossom Preschool (MBP). She has a B.A. in Early Childhood Education from the University of North Carolina, Chapel Hill. Her gift for teaching was recognized early when she received the National Association for the Education of Young Children (NAEYC)/UNC Chapter’s student teacher of the year award. She has taught in both public and private schools. She earned a master’s degree in Conflict Resolution (which is put to use every day in the classroom). She worked as a mediator and taught youth and adults to mediate. She has experience in peer, family, neighborhood, and victim-offender mediation. Aichele-Smith values life-long learning. 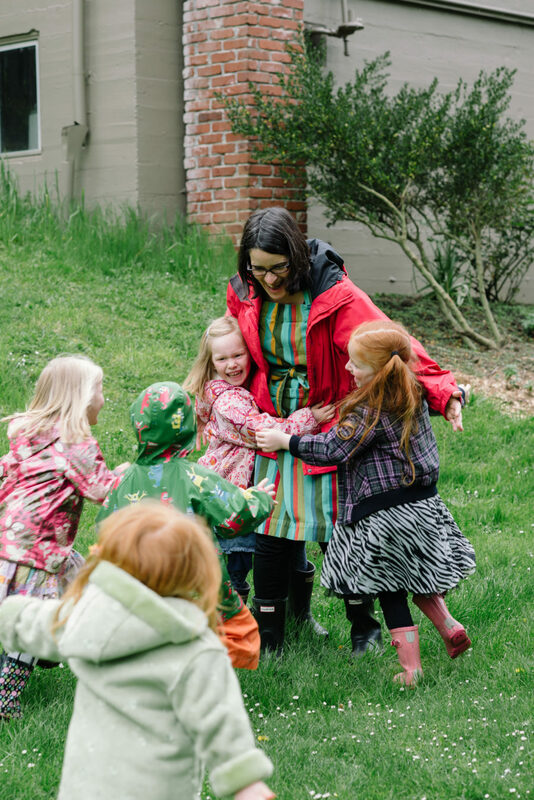 She did a volunteer year-long internship at the Oregon Environmental Council focusing on best environmental practices in early childhood settings. In 2011, she completed the LifeWays Training. 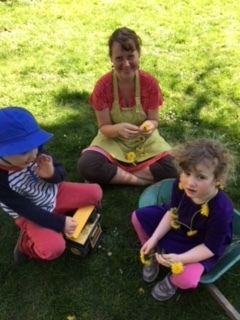 This year-long course based in Boulder, CO gave her the additional background to bring a Waldorf-based curriculum to Magnolia Blossom. In 2016, she sought accreditation status making Magnolia Blossom Preschool a LifeWays Representative Program. Annual continuing education workshops keep Aichele-Smith up to date with current research and best practices. She lives in North Portland with her husband, 15-year-old son, and two dogs. 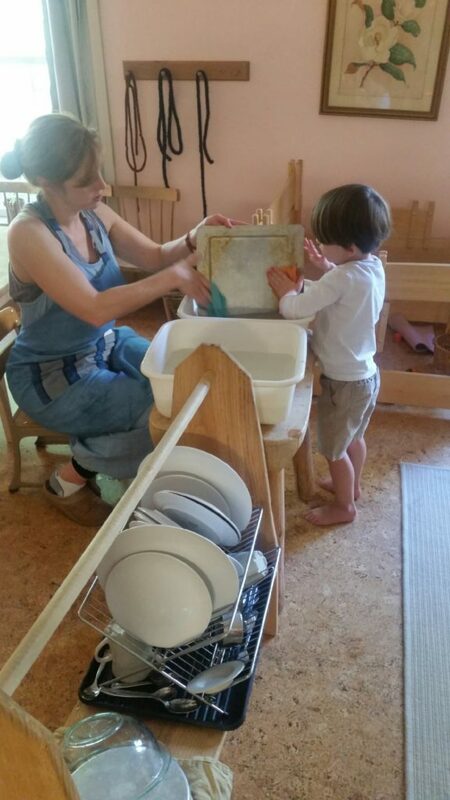 She fell in love with Waldorf education while looking for a preschool for her son. He attended Waldorf schools from preschool through eighth grade. Although Aichele-Smith has taught all ages in many different settings, she is most excited about bringing the very young and the very old together at MBP at Harvest Homes. She feels very lucky to be a part of this special partnership beginning year ten together in the fall of 2019. Chelsea Brendtro is a lead teacher and substitute director at MBP. She has a B.S. in Social Sciences and an M.S. in Early Childhood Education. Though Chelsea was often told as a child that she should be a teacher or therapist, she entered college with dreams of Broadway and majoring in Theater Arts. As luck would have it, she applied for a work-study job her first week of college working in the kitchen of the campus preschool (PSU’s Helen Gordon Child Development Center) and the director saw her potential and asked her to work as a student teacher instead. Chelsea fell in love with the world of early childhood education, changed her major, and was hired as an assistant lead teacher the year she graduated. The following year she attended the Reggio Emilia school study tour in Italy, and spent the next seven years as a lead teacher working in the classroom, training other teachers, presenting at local and state conferences, and earning her master’s degree. Chelsea returned to full-time work briefly after her son was born, but was inspired to resign after reading Radical Homemakers and fully appreciating the financial, emotional, and physical challenges of working while raising young children. She spent the next few years building relationships in her own community of St. Johns, providing nanny care to local families, and volunteering at St. Johns Swapnplay, where she is the current President of the Board of Directors. When Chelsea’s son entered kindergarten, she decided to get back into the classroom and found the perfect fit with MBP. Her son attended a LifeWays preschool, and her values align well with that model and intergenerational education. Chelsea is passionate about spending time in nature, environmental justice, animal rights, social justice, and community-building. She spends her free time baking, wild fermenting, creating and perusing free piles, reading sci-fi, and snuggling her family – a husband, a 6 year-old son, a dog, two cats, and two rats. Megan Mahaffy, a native Portlander, joined Magnolia Blossom as a part-time assistant in the Fall 2018 school year. She is the mother of two boys, both of whom are MBP graduates. As her youngest prepared to enter Kindergarten, she was delighted to stay connected with Magnolia Blossom. 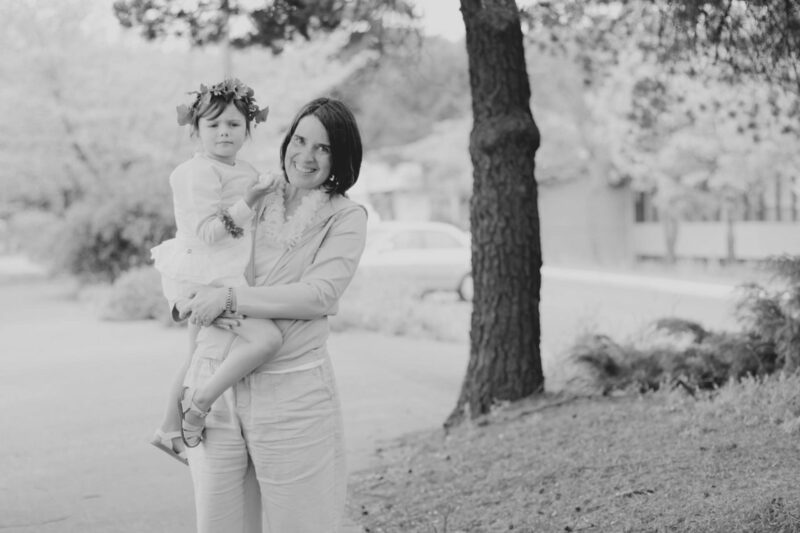 Her years as a preschool parent have fostered a deep love of the LifeWays home-based approach, which has an ongoing impact in parenting her own children, and has led Megan to pursue certification in the LIfeWays Early Childhood program. Though her educational focus was on Spanish language and literature and her professional experience took her into medical administrative work, she chose to spend the past six years at home raising her children. With both children now in school full time, Megan is excited to join in the Magnolia Blossom rhythm. She brings with her lots of enthusiasm for creating a nurturing “home away from home” environment for the children, and a deep love of all things crafty. Megan lives in North Portland with her husband, two sons, and their black and white dog. In her spare time, she loves to bake, read, knit, and explore the outdoors with her family. Some of their favorite adventures take them to the Oregon Coast, the Blue Mountains of Eastern Oregon, and annual trips to a ramshackle cottage in the lake region of Maine.